The TS-231+ is a powerful yet easy-to-use network storage center for backup, synchronization, remote access, and home entertainment. With the Notes Station, you can easily create digital notes on a secure private cloud and share with colleagues and friends at no extra cost. Powered by an advanced ARM Cortex-A15 dual-core processor and 1GB RAM, the TS-231+ delivers outstanding multitasking performance as a SOHO NAS featuring three USB 3.0 and dual LAN ports. See how TS-231+ can enhance your working productivity & digital life. 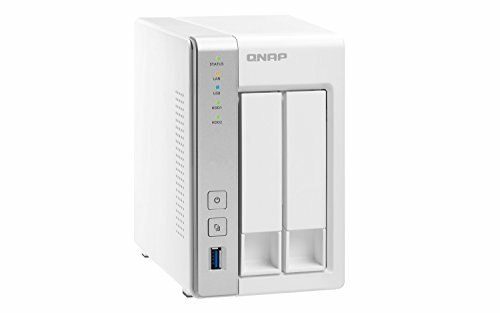 Qnap TVS-882ST3-i5-8G-US Ultra-High Speed and Compact 8 bay Thunderbolt 3 NAS/iSCSI IP-SAN Solution.